Augusto Inacio collected 13 wins, 1 draw and suffered only 2 defeats in his short Romanian adventure. The club that – in its’ short history – always managed to finish in a better position than in the previous year made one step closer to Adrian Porumboiu’s dream: winning the league. 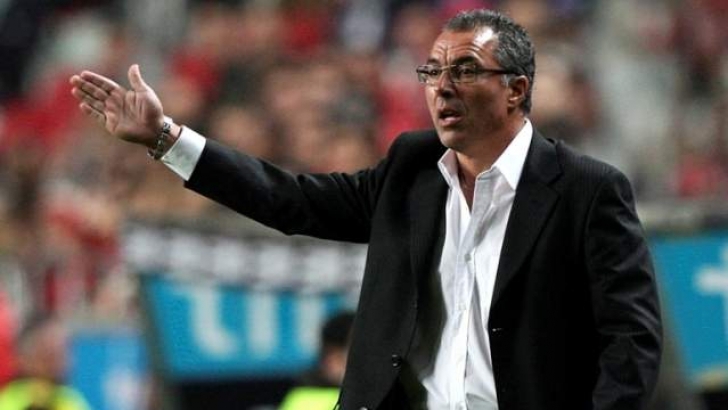 The wealthy former international referee will now be hoping that the season that just started won’t be the exception from the rule, as he made massive changes to the team and also made a surprising call, forcing the resignation of Augusto Inacio, the coach that had a short, but impressive tenure at the club. Last season, Vaslui boasted the most creative offensive trio in the league, Lucian Sanmartean – Wesley – Adailton, which compensated often for the big problems at the back, with the defenders tormented by injuries, the lack of a real scoring threat in the lone striker position and a lack of balance within the team. Vaslui agreed to part ways with Papp, who recently broke in the senior national team, Porumboiu showing that he’s learned from mistakes done in the past. The most notorious was blocking the transfer of Zoran Ljubinkovic a few years ago, after the midfielder had scored 16 goals in one season, and the following conflict with the Serbian player resulted in a one year ban in the transfer market for the club. So, the yellow-green outfit allowed a top defender to move to Chievo, but also lost easily to the same Serie A club the Slovakian centre-back Pavol Farkas, whom they’ve constantly under-rated, although he did very well in the first half of the season, when the back-line was heavily affected by injuries. Another important player who move away on a free transfer was the left midfielder Nemanja Milisavljevic, who covered the left back role as well, when needed, and now signed for Rapid, while there’s hope that the veteran Brazilian Adailton will return soon from his temporary retirement, as promised. He lost pace and stamina, but his ability to take set plays, as well as his invaluable experience, were assets that might be missed. Coman left Rapid for less than 100.000 Euros. A real bargain for FC Vaslui! Accused by Inacio that he bought a bus full of players this summer, Porumboiu move from quantity to quality as the season’s kick-off approached. First, he covered a vital role which severely lacked quality since Dusan Kuciak moved to Legia Warsaw, by signing Dani Coman from Rapid on an incredibly low fee. When things looked settled and we were placing our bets for the first round games, another surprise came in: Marius Niculae, the former Sporting striker who was looking to get a (last) contract abroad for some time, agreed to sign for Vaslui as well, tempted by the higher salary and another shot at the Champions League’s group stage. Back to a good level of form after a poor period, Niculae will do better in front of the goal than Yero Bello and Mike Temwanjera, but also take off some of the attention that Wesley “enjoyed” lately. Unlike the Romanian press, I would highlight the arrival of Celeban, a top defender in Ekstraklasa, as well as the signing of two former Romanian champions, Antal and Salageanu (both from Otelul Galati), who will cover key positions in the team. My prediction: Everyone looks at the squad and considers FC Vaslui as the main contender for the title this season. In terms of players, financial strength and influence, I would agree and it would be a nice reward for all the investment and the work done there, but the problem is that new coach Marius Sumudica doesn’t offer guarantees and I’m not sure he can solve the cashes of egos that will take place both in the dressing room and the meetings with the board ran by the expansive Porumboiu. Sumudica is a great motivator and the teams react well in the first months under his command, but can’t see him finishing the season in charge. Nevertheless, his presence could come handy for the club that will meet Fenerbahce in the Champions League preliminary rounds, if the new additions – most of them established, mature players – will adjust quickly to the new surroundings and start delivering immediately. Read also the previews on Steaua, Rapid and Dinamo!